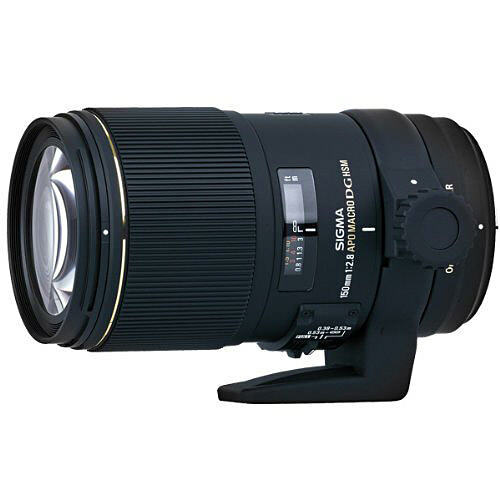 Lens Description: This latest version of the Sigma Macro 150mm f/2.8 EX DG HSM boasts Optical Stablization (OS) which is critical to equipment sporting this focal range and is now splash-proof. Offering the latest optical design technology this lens remains a large aperture medium macro lens ideal for shooting the smaller things in our world that exists virtually unseen. 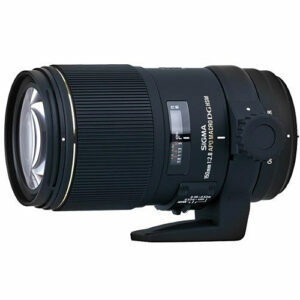 A macro lens is one which will focus on a subject close enough to render it life-size on the image plane in your camera. It also has a flat field front lens element so that it can shoot images of flat objects such as artwork or postage stamps and be tack sharp all the way across the image. With HSM (Hyper-Sonic Motor) a quiet & high-speed auto focus is ensured. It provides extremely high optical performance from infinity to 1:1 Macro. Three SLD (Special Low Dispersion) glass elements provide optimum color correction and sharpness throughout the entire range and Super Multi-layer coating reduces flare and ghosting. It has superior peripheral brightness and provides sharp and high contrast images even at maximum apertures. The OS offers the use of shutter speeds approximately 4 stops slower than would otherwise be possible. It is also compatible with Sigma APO Tele Converters. Ideally suited for taking pictures of insects or other small creatures, but it is also the perfect focal length for facial portraits rendering the best perspective of the human face. This greater distance also allows the photographer more flexibility in lighting the subject with natural light reflectors. So don\'t miss the tiny insects, flowers of the world or the details in a stamp or coin collection or a piece of embroidery all of which are seldom noticed but offer a fascinating world if you look closely enough.